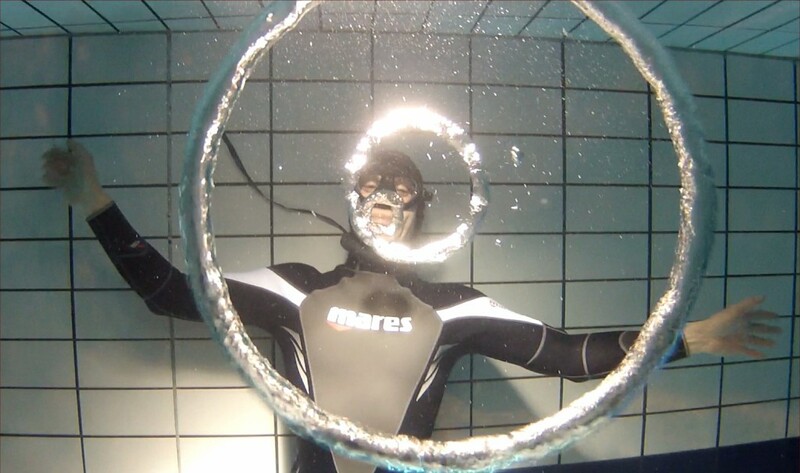 I am pleased to share with you my workouts, tips and various other preparations for your apnea! A really nice atmosphere and a place conducive to good results. An exceptional recovery from training on January 2nd after 4 days of interruption: Training No. 1 1600m apnea based on a table of 75m in length with 2 minutes recovery between each (acceleration of swimming bi-fins , 1’28, 1’22, 1’16, 1’11, 1’05, 58 “) *** A 125m in 1’45″ *** history check form exercises on empty lungs the bottom of 2m50 to relax when there is a little time. January 7, No static today, I now set my warm up 15 minutes and I think I associate my breathing exercises to my movements. February 4 An exceptional recovery, preparation for a very special training which should normally lead me to a shooting depth to which it should do specific exercises to ensure ease repeatedly! Then as every time: 15mn heating and session apnea (STA Laches bubbles and table 2’30 to 6 ‘) and concatenation DYN A 4x50m heated table with O ₂ 50m TR 2′ least 15 “up to 15 “Recycling of total 2x end of table. All in 1:20! Then personal training begins: DYN over a given distance at the bottom + + STA DYN on the same distance at start (you follow me? ) I had planned an increase of 6 weeks to achieve the specified performance and all I can say is that I’m already past the training of week 4 THANKS to EDERN is back and I can definitely get the ease in the water! ! It is important when you get to this level, to feel not only supported but also monitored in a very considerate to limit risk-taking. Thank you to the team still sports center pro and friendly. The total workout lasted more than 2 hours and I have one desire: to go back tomorrow. 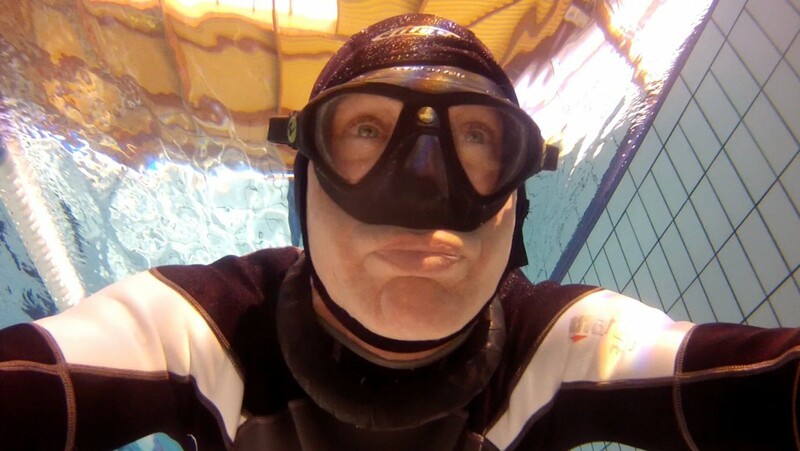 February 25, 12 days of absence from my favorite pool workouts but beautiful on the beaches of Normandy cold you will see some pictures in the coming days by opening the menu “videos” Result: 6’45 “in static a water exercise at 31 ° My personal final 45m, 15 “STA then 45m. In great shape. Testing my new combination 1mm thick give me a good feeling on the DYN. However I tried a size above my shop Camaro unfortunately it was perfect but in water it expands a lot. So I ordered the size smaller because the sensations are really great. If you want more information on this equipment, you can contact my friends and Romain Jerome Plongéquilibre Paris 8, they will be happy to guide you in your choices. I thank them again for their professionalism and kindness. On 26 and 27 February A specific training to test another combination, this time a Mares 3mm thick nice to put on and wear well. Good behavior in slow and fast movement with a balance greater than the Camaro 1 kg. The texture of this combination slows me a bit more than the Camaro but exercise, it does not bother me any, and this matter will spoil less quickly in the pool because of the high frequency of my workouts. 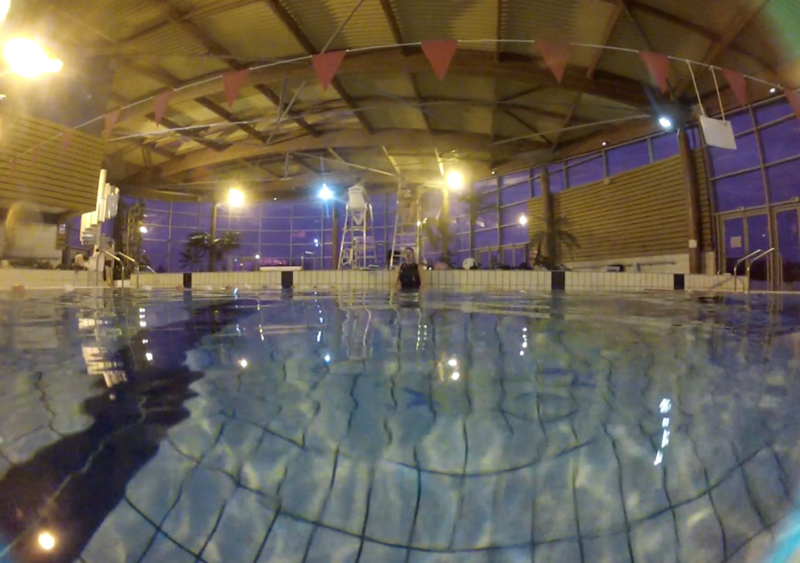 Conclusion: The 50m DYN ​​regular 30 “, my personal exercise of 50m + 15″ + STA 50m, a 75m DYN ​​slow in 3’47 “. All this over two days with two tables usual O ₂ and CO ₂ Next training from 29 with 5m more on each exercise. Personal Training 50m break STA 15 “back then 50m … Here, I detail more workouts unless of course provide additional information I started to learn more followers, causing all very good swimmers or swimmers and pleasure to transmit and share is almost as strong as that to remain at the bottom! Welcome to Fanfan, Stéphanie Françoise Michel, Martine, Jacques, Sandy and Mary now appreciate as being under water at the surface, thank you for the confidence and kindness. Sunday, March 24 Small nod to my friend Edern who followed me (or my predecessor!) With its “longboard skate” during my 12km run So, a steady pace, the pleasure of not not run alone and diversity of his “tricks” on his beautiful board enthusiast Dancing is like if you’re running while watching a show, needless to say you do not see the time passing … Results, averaged over 10km / h in top form. Hey! Someone in my Facebook group shared this website with us so I came to give it a look. I’m definitely loving the information. I’m bookmarking and will be tweeting this to my followers! Superb blog and brilliant design. I surprise how so much effort you put to create the sort of magnificent informative website. I read a lot of interesting posts here. Thank you for sharing! I read a lot of interesting posts here. Sometimes awesome, sometimes really calm and with nice feelings! Thanks Magnolia for your visit and commentaries!